temple etz chaim | XKV8R: The Official Blog of Robert R. Cargill, Ph.D.
in a stunning development just one day after southwestern baptist theological seminary announced (blog) it had acquired three fragments of dead sea scrolls, the assassinated press is reporting that three more prominent american universities have acquired fragments of the dead sea scrolls and other well-known jewish cultural heritage objects from unnamed antiquities dealers. in what has become a race of archaeological one-upsmanship, several universities have begun purchasing fragments of the famed dead sea scrolls and other jewish antiquities that have previously been in private collections. 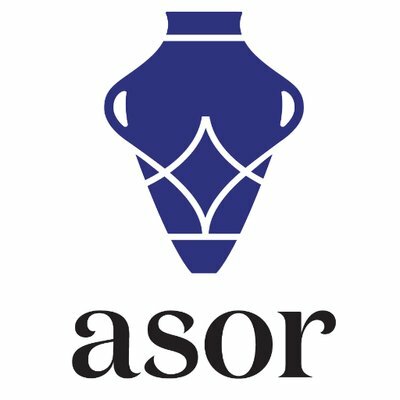 prior to last year, princeton theological seminary and the university of chicago were the only american universities to have portions of the dead sea scrolls in their private museum holdings. 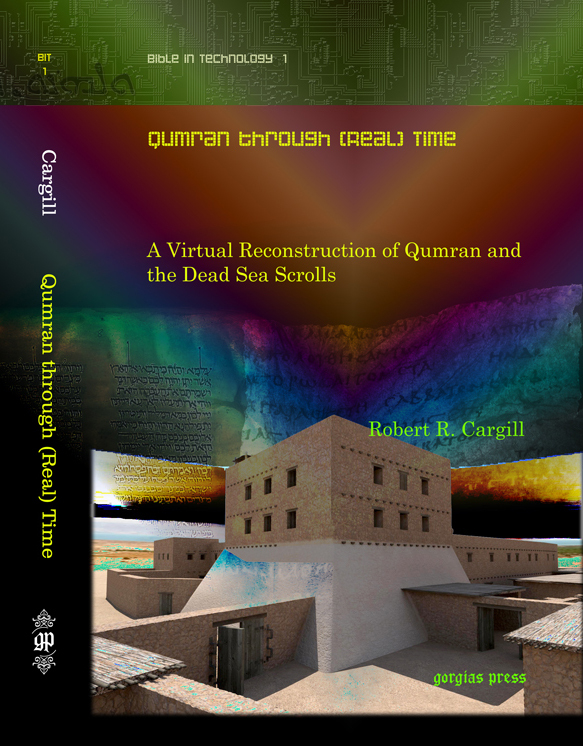 then late last year, southern california academic powerhouse azusa pacific university surprised the world by announcing (blog) they had purchased fragments of the dead sea scrolls from a southern california antiquities dealer. then just yesterday, southwestern baptist theological seminary announced it had also acquired fragments of the scrolls from an undisclosed antiquities dealer for an undisclosed amount of money. the desire for christian universities and seminaries to boost their academic reputations by purchasing fragments of the enigmatic scrolls has apparently started a trend among other institutions of higher learning also seeking to gain overnight credibility by purchasing classical jewish inscriptions. this morning, online education powerhouse devry university announced that it has acquired a fragment of the great isaiah scroll discovered in cave 1 near qumran. the fragment is a .5 cm x .3 cm wide and contains a single letter: aleph. despite the fragmentary nature of the fragment, professor roger smoak, who holds a joint appointment in accounting and northwest semitic palaeography, assured devry’s board of regents that the fragment was authentic and worth every bit of the 2.3 million dollars it paid for the single letter. 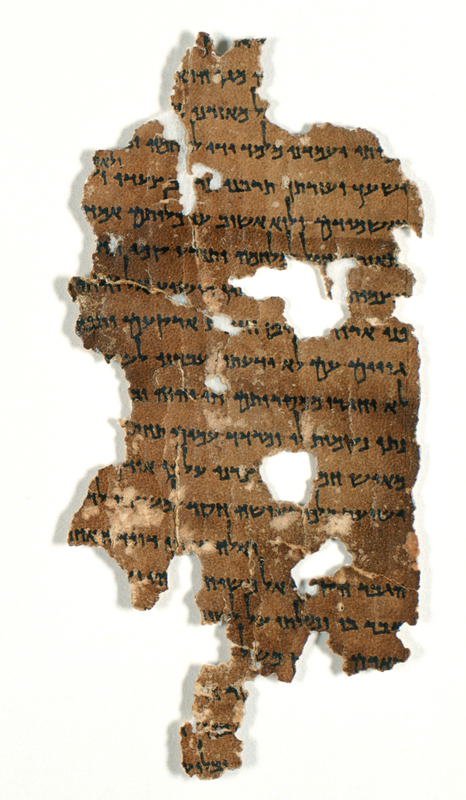 This fragment of the Dead Sea Scrolls, although small, shows DeVry’s commitment to being a leader in the online university/alternative education market. Big things come in small packages, and this single aleph is the ‘A’ for effort that will make DeVry a major player in the world of higher education. Look out Harvard! DeVry knows a little about the Bible too. In fact, we now own a part of it. While most scholars believe this ostracon says ‘house’ or ‘house of,’ I believe it is the earliest known reference to the computer term ‘bit,’ the foundational building block of bytes, kilobytes, megabytes, and gigabytes. In this sense, this simple ‘byt’ inscription must be considered a prophecy of the technology boom we are now experiencing today. And now we own this piece of prophecy! 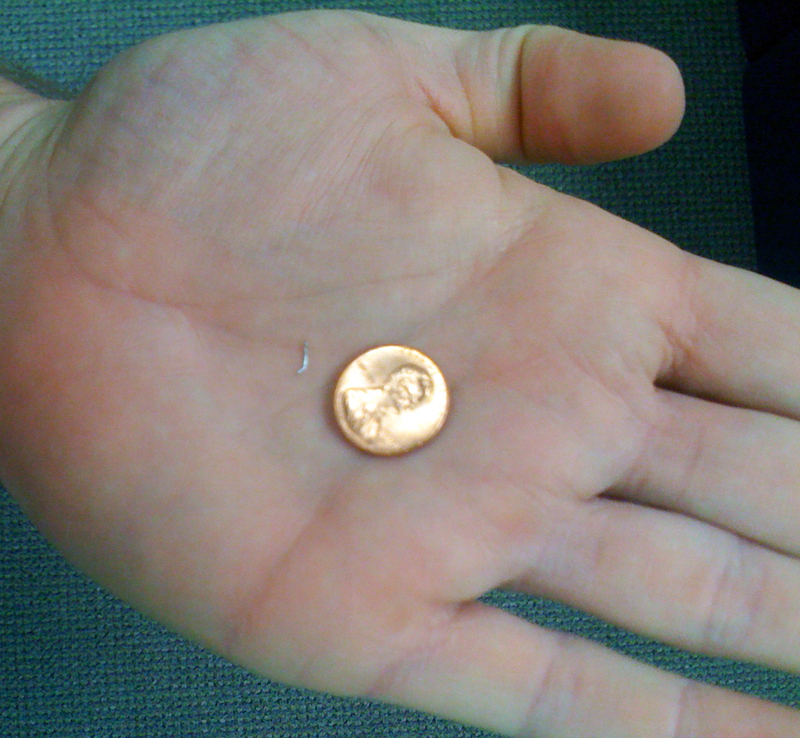 A purported silver sliver of the backside of the Ketef Hinnom inscription shown next to a penny for scale. not to be outdone, the university of phoenix has announced that it has acquired a fragment of the ketef hinnom inscription from a pawn shop in the silwan valley. matthew nam, professor of international trade and systematic theology, believes the silver sliver of text could be the centerpiece of the online university’s new masters program in international business and theology. Obviously, the acquisition of a piece of history this significant is no small thing. Despite the fact that it contains no actual writing, the 1.1 million dollars we spent on this sliver of the Ketef Hinnom amulet’s backside shows our dedication to establishing our new program in international business and theology and establishing ourselves as the world’s premier online business degree for those who also love the Bible. Because we have made this purchase of a mere fragment of an archaeological object, we must immediately be recognized as a legitimate and major player in online theological education. still other institutions are rumored to be in the hunt for valuable jewish antiquities in an effort to improve their academic reputations overnight. in an effort to solidify its place atop the field of agribusiness education, fresno city college is said to be near the completion of a deal to purchase a 2 cm x 2 cm portion of a bar kokhba letter that mentions a piece of fruit. thousand oaks high school has partnered with local temple etz chaim preschool to acquire a coin minted by herod the great. and, liberty university is in talks with the jordan archaeological museum to acquire one segment of the copper scroll, which liberty university will then trade to the istanbul archaeology museum in turkey in exchange for the siloam tunnel inscription, a purported piece of noah’s ark, an artifact to be named later, and cash considerations. 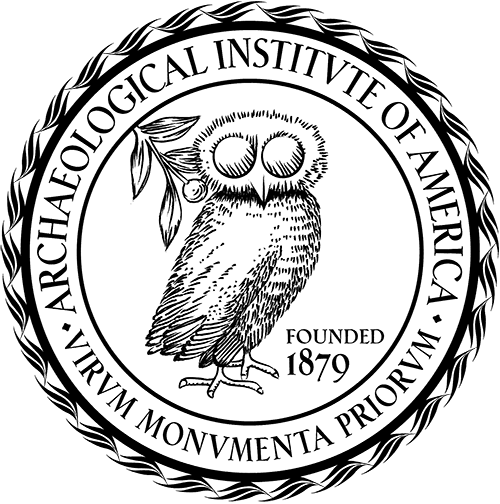 these recent acquisitions of archeological objects by universities all go to show that a lack of status in theological education within the academy can quickly be overcome with a few dollars and the purchase of sensational archaeological objects. 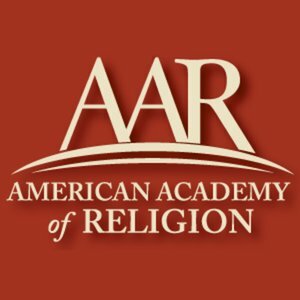 while most top schools waste their time educating their students with literary critical techniques and objective assessments of history, bible-based colleges can circumvent the scientific method while maintaining their sectarian doctrinal stances by simply purchasing objects that the public revere but do not understand. in this rough economy, why hire more faculty to educate students when a school can use that same money to purchase antiquities and sell tickets to its museum? thus, it makes great business sense for bible colleges to buy publicity by purchasing artifacts rather than producing scholars who truly understand them. Talitha Cargill still tops the holiday tree with a popsicle Star of David she made while in preschool. Photo taken November 29, 2009.
as we approach hanukkah 2009 (which begins sundown december 11), i was going back through my daughter’s first hanukkah experiences. while she was in preschool at malibu jewish center, she created a popsicle stick star of david, which still annually adorns our holiday tree. i was also running back through photos of her first ever pageant of any kind, which was a hanukkah celebration at temple etz chaim, where she went while in kindergarten. 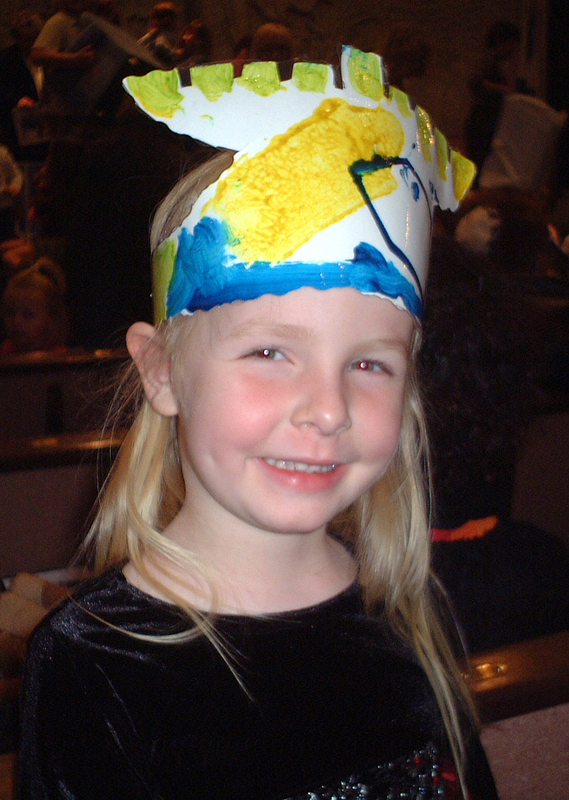 she made a hanukkah menorah hat, which she proudly wore during the recital. my ‘little girl‘ is growing up. 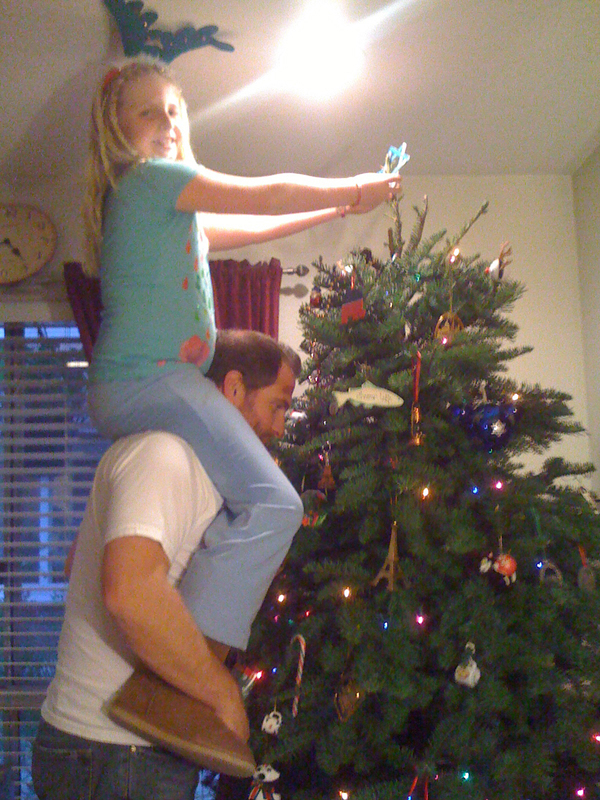 it is interesting to notice that while children ultimately reach an age where they begin to distinguish between things that are cool and not cool, and begin to discern between things that are now ‘childish’ and items that are more befitting their present age, that things they created as children within the contexts of traditions – especially holiday traditions – never become ‘uncool.’ these photos, however embarrassing, and these decorations, however messy, were their first creations – their first attempts at representing via symbol their view of the world as shaped by their parents and their environment. kids recognize, even at a very early age, the difference between fashion trends that come and go and toys out of which they grow, and things they created as children to commemorate the holiday seasons, which are actually commemorations of the years of their lives. just like their birthdays, goofy decorations, mugs, coasters, and picture frames that children bring home as gifts every year are holiday memories that children (and adults for that matter) rely on as mileposts in the paths of their lives. thus, it is important to allow children to create their own memories. and we should encourage this by always placing the popsicle stick star of david on the top of the tree. Talitha with her Hanukkah menorah hat at the Temple Adat Elohim Hanukkah celebration. 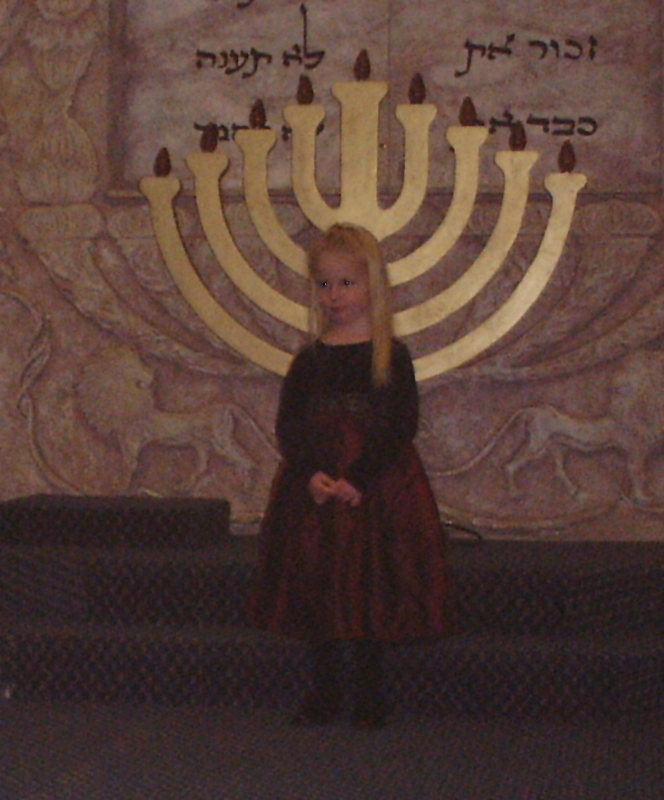 Talitha at the Temple Adat Elohim Hanukkah celebration.